Every now and then a movie will come along featuring a character who simply oozes cool; someone so well put together that you can’t help but want to emulate them in any way possible. I’m an old, old man (30 is old, right? ), and in my case that character was Indiana Jones. When the obsession of my youth failed to fade as I grew older I finally bit the bullet and ordered a leather jacket cut to the pattern used on Raiders of the Lost Ark. Of course it didn’t look a fraction as good on me as it did on Harrison Ford, but I fancy some of the movie magic was rubbed off on me. Today, though, Ford has passed the torch to a new star: Bradley Cooper. Like Harrison Ford before him, Bradley Cooper is a man who seems to consist of at least 90% excellent costumes and 10% rogueish smile, and he looks so great in his movies that I’m not even sure if he’s got any acting chops at all. It almost doesn’t matter. Cooper, even as a leading man, performs well as a mannequin on which to hang an indescribable amount of cool. This is never more apparent than in the Hangover movies. Cooper plays… well, to be honest he plays a bit of a tool. Cooper’s character, Phil, is the kind of guy you can imagine stealing your wife a couple of hours after your wedding, but it doesn’t matter that he’s something of a douche because he looks so. Damn. Cool. In the original Hangover, Bradley Cooper sported a pair of (timelessly classic) Ray Ban Aviator sunglasses. Cooper’s shades were the 3025 model, and as you can see from the stills we grabbed he’s wearing gunmetal frames with a polarized blue gradient pink lens (don’t panic, they take on a red tint in the sunlight). For the second movie, which saw the gang tear up Bangkok, the costume designer decided to drop the Ray Bans and instead opted for something a little more upmarket – Oliver Peoples Benedict sunglasses. Now, I’m a lifelong devotee of Ray Ban, so as far as I’m concerned they made a mistake putting Cooper in Oliver Peoples. See, the guy is a teacher, and no matter how much money he cheats from his students he’s not gonna be wearing a pair of $400 Oliver Peoples. 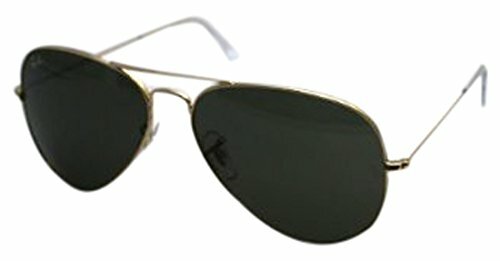 Ray Ban, priced at around the $120-150 mark, are the perfect sunglasses for a character like Cooper. He enjoys the finer things in life, but he doesn’t have a limitless budget. Ray Ban is the natural choice: high quality, classic styling, affordable price. Anyway… for whatever reason, Cooper finds himself in a pair of outrageously expensive sunglasses in the Hangover 2. Last time I was in Bangkok I left a $150 pair of Wayfarer’s in the back of a taxi. Bangkok has them now. Amazon is not providing us a price for this item. Therefore it can not be displayed.